Some of the most promising football players tried out for the Stacey Football Flag team on Sept. 18-19 and 21st. Mr. Cota held the 6th and 7th-grade football tryouts on the 18th which consisted of drills to see the student’s skills in action. Mr. Cota seemed excited about this upcoming season and about training boys and girls to develop their skills and their teamwork. “My hopes are always that we have good characters and that they can develop into leaders,” he says. On September 19th, 8th-grade tryouts began. The students also did drills to see how they played together. Final tryouts were the on September 21st. Mr. Cota was impressed with the expertise his team of great players exhibited. They will be representing Stacey for flag football this year against Johnson and Warner Middle School. For those who made the team, the practices will be Monday, Tuesday, Thursday, and Friday right after school until 4 pm. The team plays Warner on October 10th at Warner, Johnson on October 24th at Johnson, and both Warner and Johnson on November 14th here at Stacey. Listen to the announcements for more information. This year’s flag football team will be one for the record books! We hope to see many Stacey students at the games! Attention all eighth graders! It’s time to help out the community! Every eighth grader will have one service hour due each trimester. Eighth graders who plan on attending the Knott’s Berry Farm trip in the spring, must complete the one service. What Even Was the Knotts Field Trip? Eighth-grade students were found missing from school on May 22 of 2018, only to be found having a great time at Knotts Berry Farm! Eighth graders were delighted to hear that the annual trip was still being offered to their class of 2018 here at Stacey Middle School. Students arrived at the park around nine o’clock in the morning and were given until six o’clock of free park roaming time to ride all the rides their heart’s desire. Every student here at Stacey feels absolutely swamped with projects, but Mr. Yohn and Mrs. Redmond have assigned yet another one to their eighth-grade classes. Thankfully, this one is a bit more amusing than some of the others. Usually, at this point in the year, eighth graders would be responsible for recording and editing a video of a historical reenactment. But this year, teachers decided to spice things up. Instead of the boring, old video project, eighth graders will be writing a script to act out in front of the third grade class of Clegg and Schroeder Elementary School. Summer is just around the corner for Stacey Middle School Students. 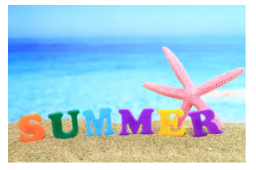 The last day of school is on Tuesday, June 19th, which is only fourteen days away. With the end of school nearing, a lot of Stacey students already know what they are doing. Over summer there are many things to do, whether you are going on vacation or just lounging around. Some of the 8th graders are not having such a laid back summer, though. The English honors kids for Marina High School have to do a summer assignment. All eighth graders that are playing sports or taking band will be attending summer camps for most of the summer. There are so many things that could be done over summer. Many students have noticed many new faces at Stacy Middle School. If you have attended and been apart of the Westminster School District, you probably understood why fifth and sixth graders have been recently flooding our campuses. This is due to the feeder school assemblies and field trips. Meaning elementary schools are coming to visit our middle school on a field trip. The incoming students will take a tour around our wonderful campus. Hey eighth graders, here are a few helpful reminders about the upcoming last weeks of school. Textbooks are due- Bring your textbooks that were given at registration, to school. This includes your science, history, and math textbooks. Lately, kids with severe peanut allergies have had a lot of problems during lunch. Kids have had a hard time avoiding all the peanut butter in the tight and crowded lunch tables, so they have been sitting on the floor away from the lunch tables. Just because a student has a peanut allergy they should not have to sit on the floor or be very worried every day at lunch, it is not their fault they have a peanut allergy.